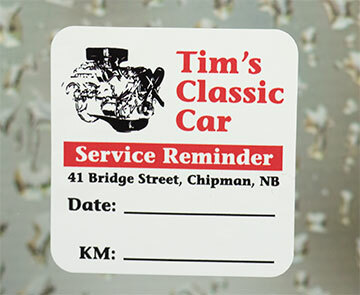 CanadaStickerKing.com is the price and quality leader for oil change stickers. 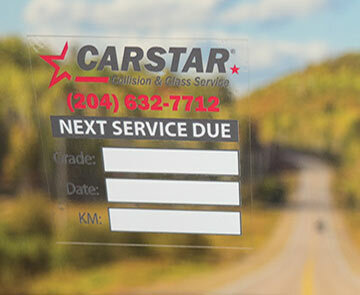 We offer more customization and material options than our competitors. 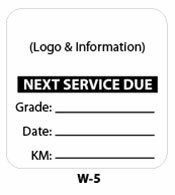 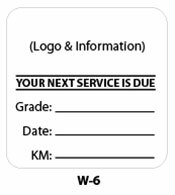 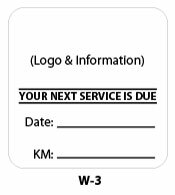 No additional charges for setup or for including your logo on the sticker. 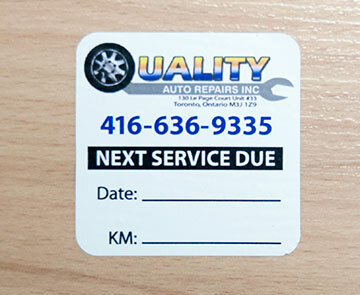 You can choose a template, have us create a custom design, or we can match your existing stickers. 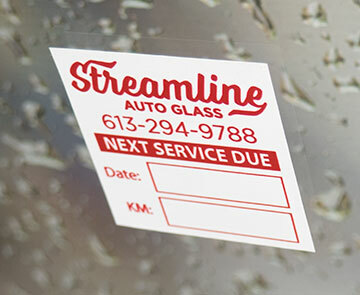 All our stickers are Vinyl based. 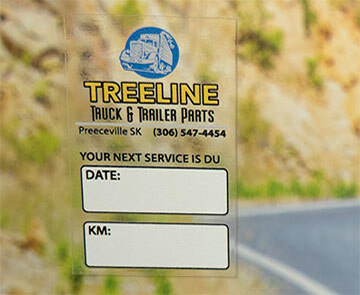 No cheap paper labels here — we use quality 8mil static cling, or 3.4 mil removable adhesive vinyl. 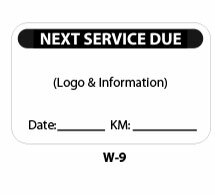 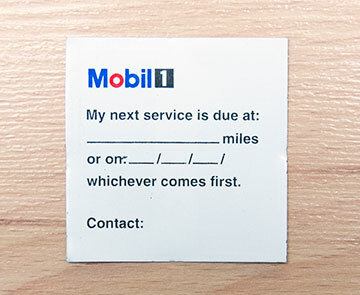 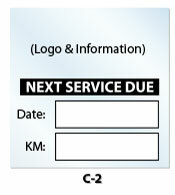 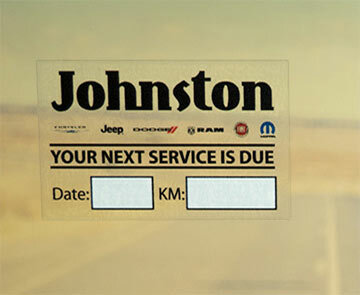 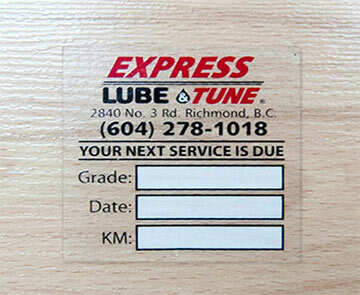 Stickers are printed digitally so you can get full colour oil change labels for the same low cost. 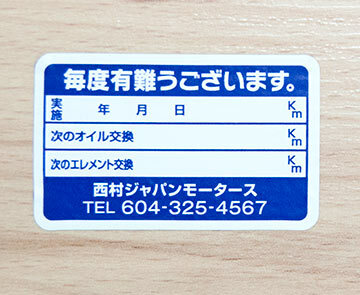 Compare these to roll labels and you will see the quality difference. 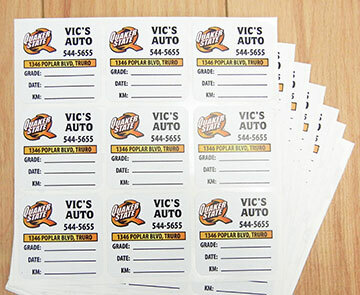 White background stickers are printed digitally on our Eco-sol printer. 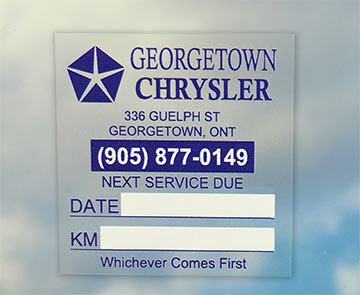 They are more cost effective than the clear background options, and can be printed in full colour at no extra cost. 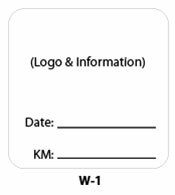 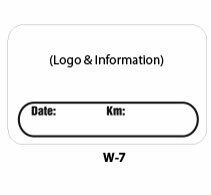 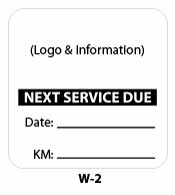 Prices for white background are lower than for clear options, because of the addition of white as a printing colour on the clear labels. 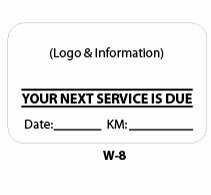 Below are details and pricing for these options. 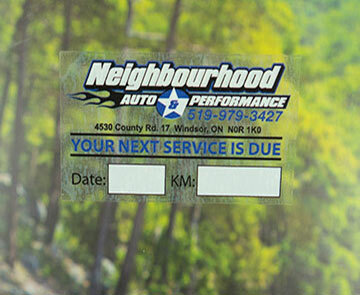 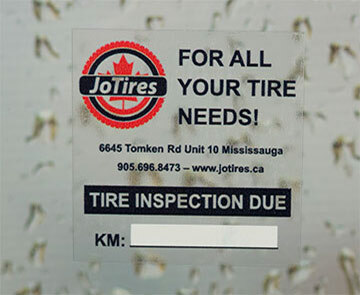 Clear static cling or clear removable vinyl oil change stickers are digitally printed, in full colour, plus a writable white ink. 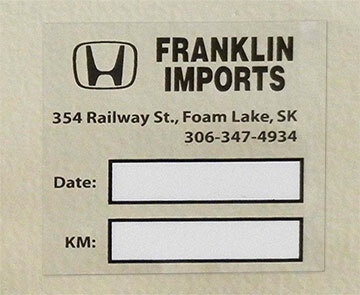 Our standard sizes are 2"x2" and 1.5"x 2.5" rectangles, although we can produce any custom size. 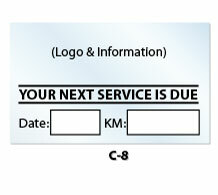 Choose a template below, have us create a custom design, or we can reproduce your existing artwork. 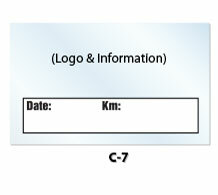 Supplied cut to size and bundled. 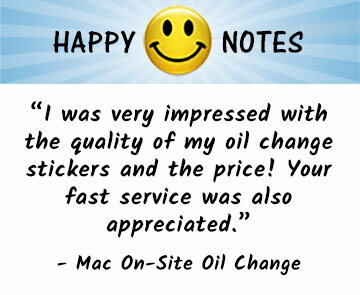 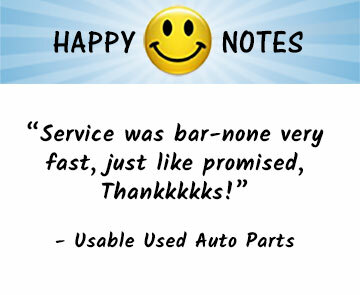 White background oil change stickers are our lowest price option. 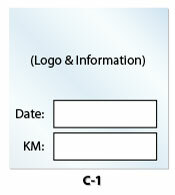 Supplied Kiss cut on sheets, usually nine per sheet. 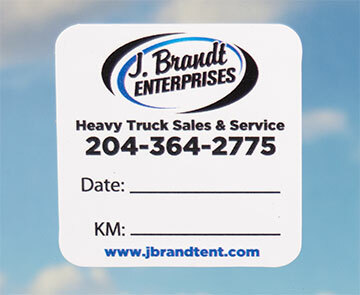 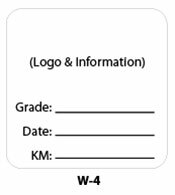 Our standard sizes are 2"x2" and 1.5"x 2.5" round corner rectangles. 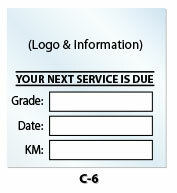 Choose a template below, have us create a custom design, or we can reproduce your existing artwork. 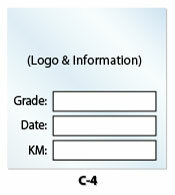 Please select either the clear or white template tab to view the templates. 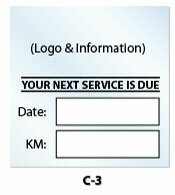 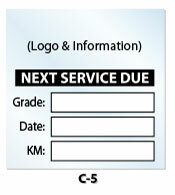 There are no artwork charges for adding your information & logo, or colour changes. 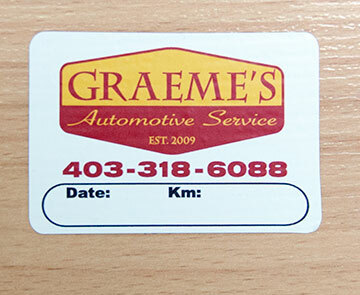 Remember, all our stickers are printed on full colour press, so you can get creative with your layout.